Weapon Stats & Strategy for Suppressed Pistol in Fortnite. 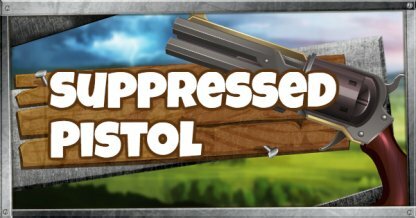 Read here to find information about the damage(DPS), rarity, and reviews for Suppressed Pistol! 26 23 16 175.5 1.3sec. 28 28 16 189 1.3sec. The Suppressed Pistol is a good secondary weapon to have in Solos and Teams because of its fast reload speed, and ability to quickly deal damage. However, it is not the first weapon option with more reliable, and more common weapons lying around. The Suppressed Pistol does decent damage when used from close to mid range, but it loses its firepower when shooting at long range targets. It is not the ideal weapon to use when starting an engagement. The Suppressed Pistol's shot is muffled by its silencer. When shooting, it does not make much noise. Use this if you want to fire at targets without alerting others in your area. The reload speed on the Suppressed Pistol clocks in at 1.3 seconds; one of the fastest reload speeds in the game. Keep this in mind if you want to fire your shots with little delay time. It is seldom that you will find a Suppressed Pistol. 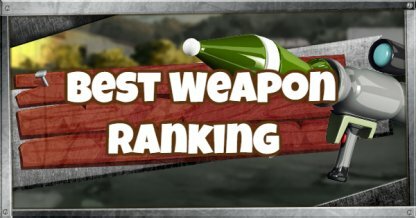 Do not go out of your way to look for this weapon. The Epic and Legendary Suppressed Pistols does 23 and 28 damage to structures respectively. 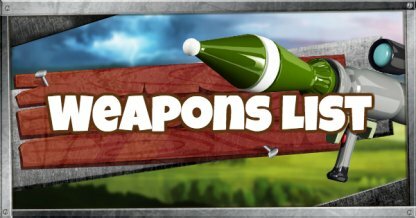 Switch to more effective weapons when trying to destroy structures! Use this weapon if there is no other viable weapon to use at the moment. Having a gun to defend yourself is better than nothing at all! Swap to this weapon when you need to reload your close or mid range weapon to finish off the enemy faster. Ideally, the Suppressed Pistol can be used to quietly engage other enemies while they fight. Quietly join the battle and deal damage without giving away your position!